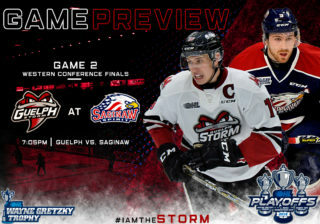 An Eastern Ontario road swing that began with so much promise for the Guelph Storm ended in utter disappointment Sunday afternoon. 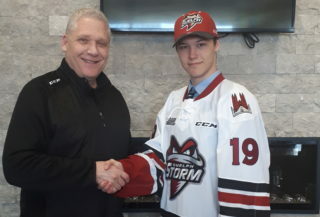 After beating the first place Ottawa 67’s Friday and deserving a better fate in a 3-1 loss in Belleville Saturday, the Storm fell flat Sunday in a 6-3 loss to the Kingston Frontenacs. Coach Scott Walker was pointing the finger directly at his veteran players. “I told them before the game that I needed them to be my guys but they did nothing today and they did nothing all weekend,” Walker said. While not naming names, three of the main culprits would appear to be Zack Mitchell, Francis Menard and Cody McNaughton. “When your worst line is supposed to be your top line, it’s never good,” Walker said. “I sat some guys for a while in the second period and would have held guys back in the third period, but when you’re as short-handed as we are it wouldn’t have been fair to the rest of the guys,” Walker said. Guelph had its chances to win this one, pumping 38 shots at Kingston netminder Igor Bobkov, but they couldn’t take advantage of some golden opportunities. 1st Period-1, Guelph, Watling 5 (Bertuzzi), 3:58. 2, Kingston, Jenkins 6 (Morbeck, Kujawinski), 9:18. 3, Guelph, Finn 8 17:23. Penalties-Watling Gue (tripping), 10:13; Morbeck Kgn (tripping), 15:03. 2nd Period-4, Kingston, Cull 3 (Moffat, Greenaway), 1:15. 5, Kingston, Kujawinski 8 (Jenkins, Morbeck), 3:37. 6, Guelph, Kosmachuk 24 (Garlent, Gaskin), 12:18. 7, Kingston, Jenkins 7 (Morbeck, Nixon), 16:35. 8, Kingston, Morbeck 7 (Kujawinski, Jenkins), 19:41. Penalties-Jenkins Kgn (hooking), 13:20. 3rd Period-9, Kingston, Kujawinski 9 (Morbeck, Steele), 19:08 (PP EN). Penalties-Leslie Gue (high sticking), 9:35; Nevins Kgn (cross checking), 12:33; Mazurek Kgn (cross checking), 12:58; Gudbranson Kgn (misc. – miscellaneous), 18:24; Pedan Gue (tripping), 18:31; Pereira Gue (tripping), 19:34. 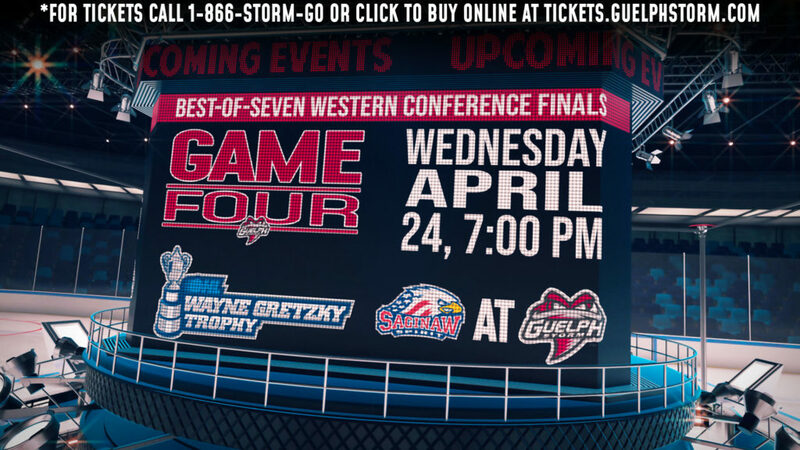 Shots on Goal-Guelph 14-13-13-40. Kingston 10-13-12-35. 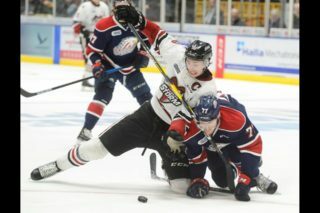 Power Play Opportunities-Guelph 0 / 4; Kingston 1 / 4. Goalies-Guelph, Sparks 19-19-1-2 (34 shots-29 saves). Kingston, Bobkov 16-25-2-2 (40 shots-37 saves). Referees-Mike Pryde (33), Joel Washkurak (30). Linesmen-Scott Gray (71), Dustin McCrank (68).